APR Front Splitter for 2010 Camaro Now Available! 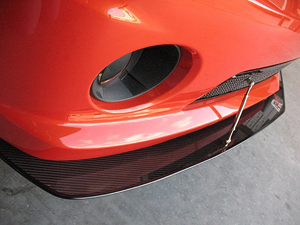 This is a fiberglass based carbon fiber topped front splitter for the 2010 Camaro. Kit includes splitter and 2 attachment hangers. FREE Shipping on all HP Tuners VCM Suites and Packages. Get FREE shipping when you order any of our HP Tuners VCM Suites or HP Tuners VCM Tuner Packages. You can also save 10% on all of your HP Tuner Credit purchases whether or not you purchased your HP Tuner VCM Suite from us. Be sure to check out the Chevrolet Camaro Tuning Package, the Pontiac G8 Tuning Package, and all of the various GM 3800 based HP Tuner packages. Check out our INTENSE PCM/ECM Testimonials and find out why for the past decade INTENSE has been the place to go for all of your GM tuning needs.